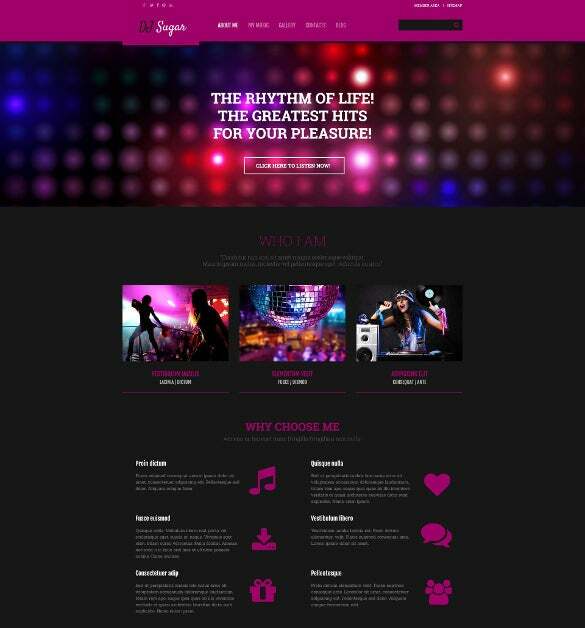 Whilst you are dealing in the equipment or business of being a disc jockey then it is very essential that you have great website which helps you build up a presence in the world of internet. Most of the party animals and organizers are the ones who have access to the internet for almost twenty four hours a day. 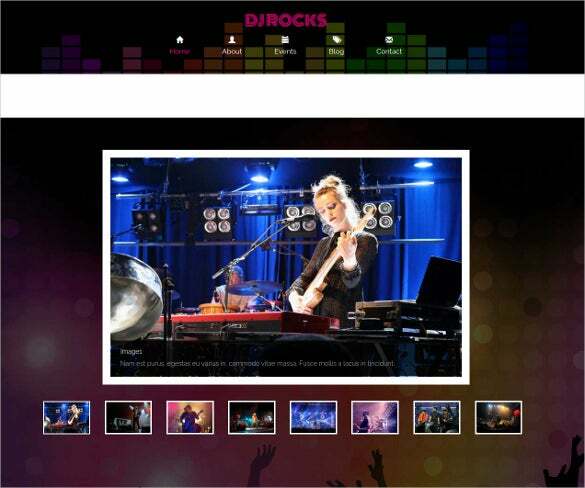 You can also check DJ HTML Themes. 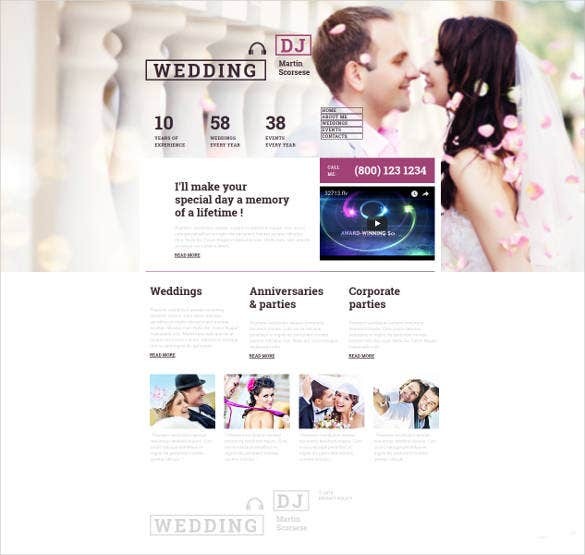 The templates help one to create the best websites with the top features which will leave the viewers mesmerized and wanting to visit again and again.In such a situation if one creates a premium website by making use of DJ website templates then he or she stands more of a chance to gain access to more and more potential customers as well as existing customers which would ultimately lead to more revenue and more profitability. 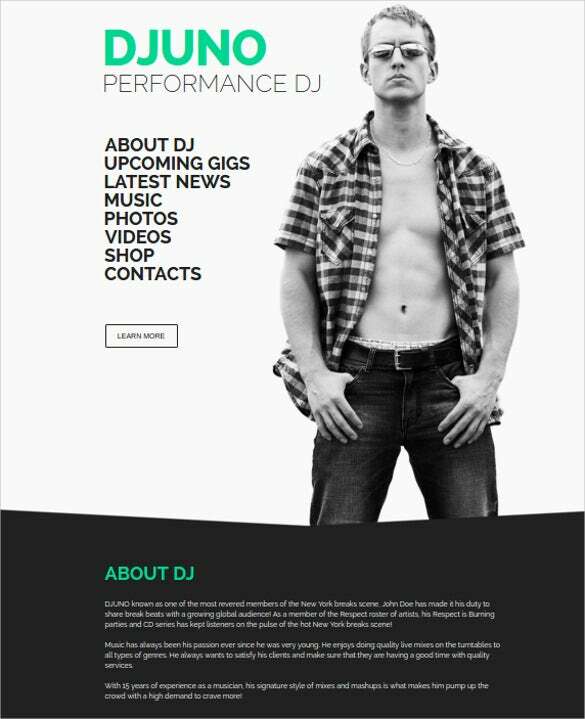 Promo DJ is a stunning website template for DJs featuring a one page design that comes with a pinned navigation system. 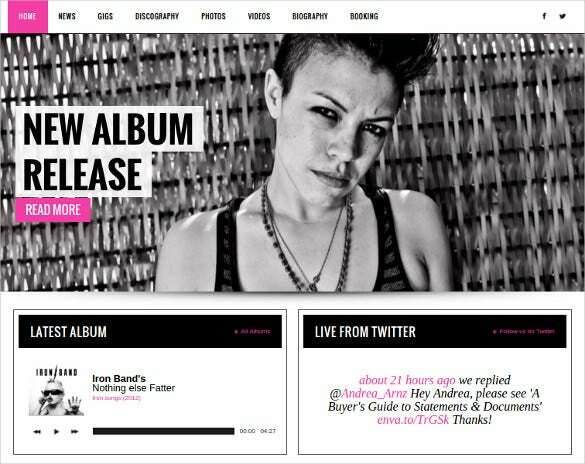 It is fully responsive, cross browser compatible and Soundcloud optimized. 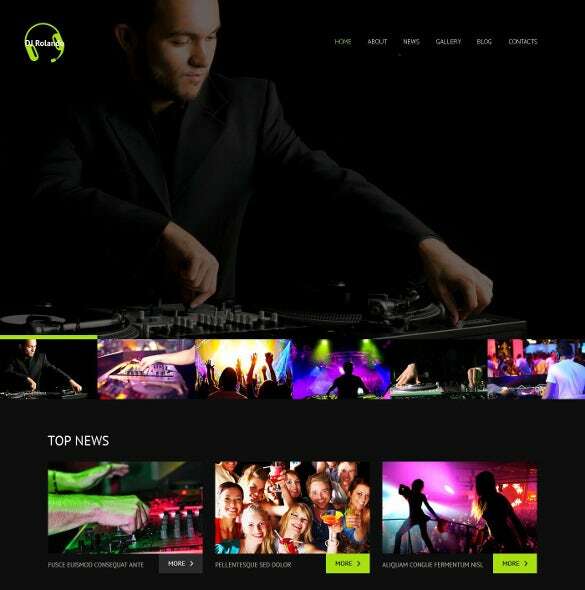 This premium WordPress theme is perfect for dj artists, music clubs, pubs, party night organizers, and night clubs. It comes with a very powerful admin panel and advanced tracker management system. It offers fast and simple installation process. 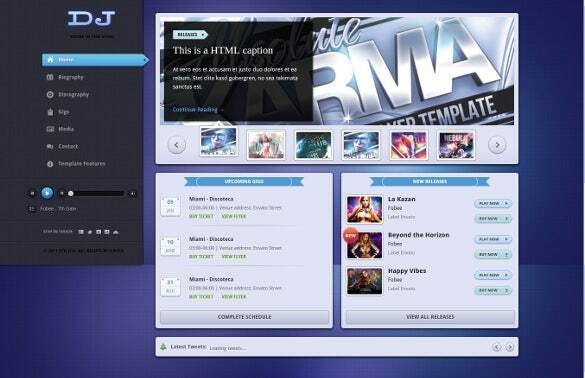 Some of its excellent features include theme options panel, multiple blog layouts, and background management option. 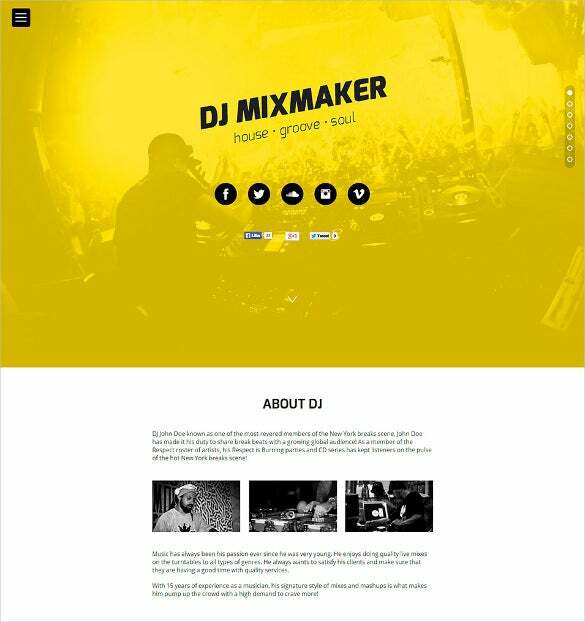 MixMaker is a niche and interesting adobe muse portfolio template. 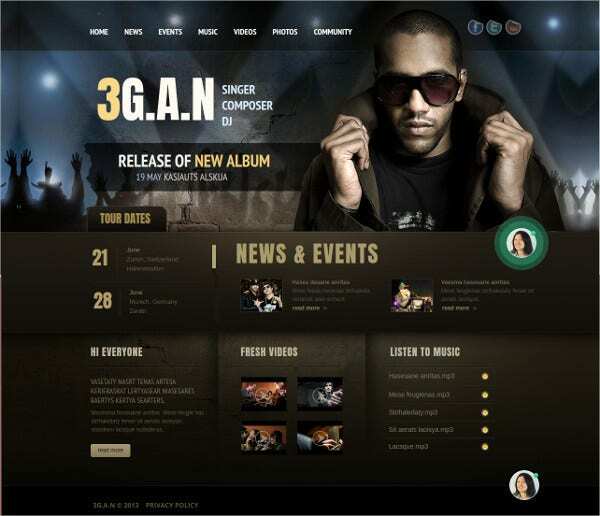 It is ideal for DJs, music artists, music coordinators, band artists, producers, and blog experts. It features contact form, social links, personal info section, gallery to display videos and photos, and upcoming events sections. 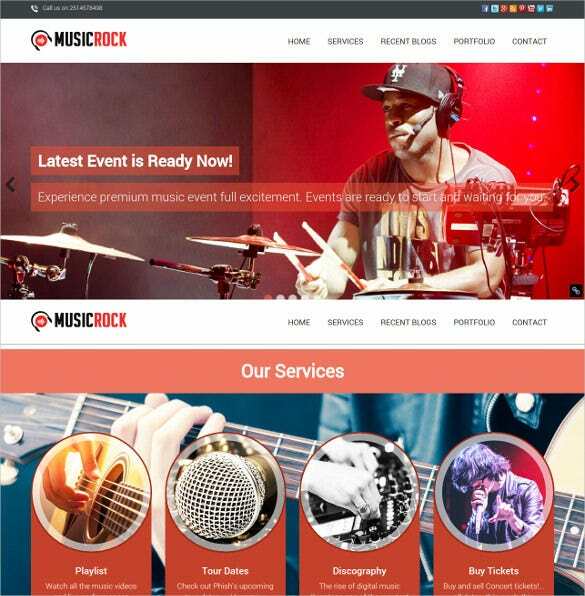 It is 100% responsive and can be customized easily. 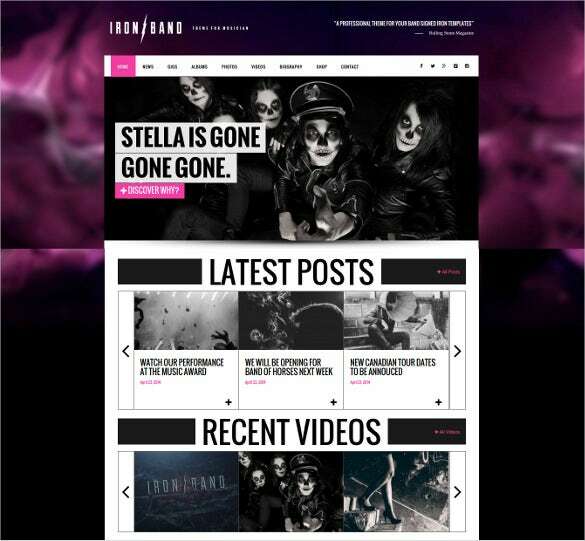 This is a niche web template that can transform an entertainment site into something more attractive. 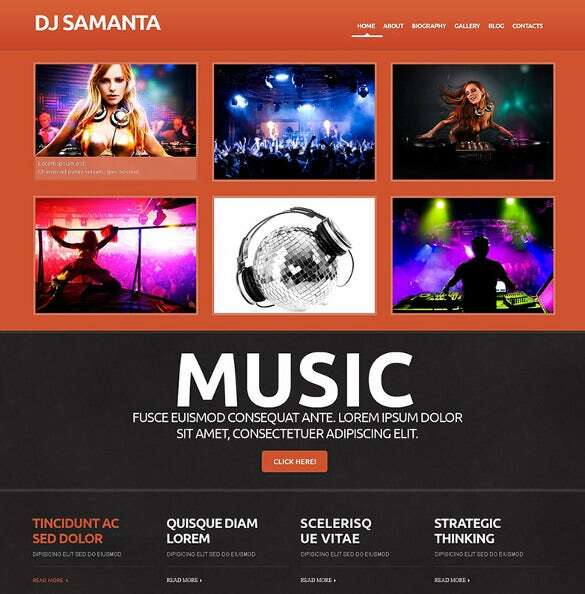 It is perfect for DJ artists, musicians, web developers, designing professionals, and bloggers. It comes with attractive visual elements, refined fonts, dark textured layout, and lazy load effect. It is compatible with mobile sites too. 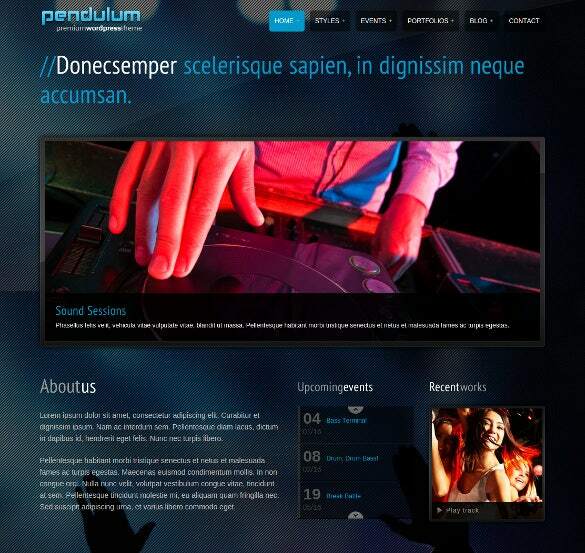 This is a truly unique HTML based web template that the DJs will find highly interesting. 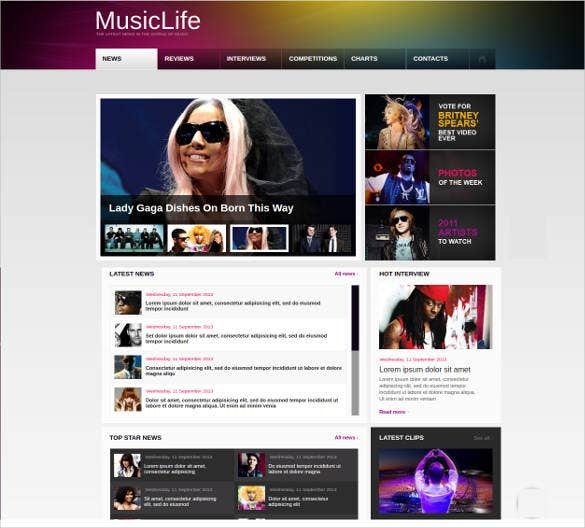 It is perfect for web page designers, music artists, anchors, and singers. It comes with typekit web fonts, pinned navigation, optimized soundcloud, vimeo widget, subscribe and contact form, customized lightbox widget, youtube widget, and customized icons. 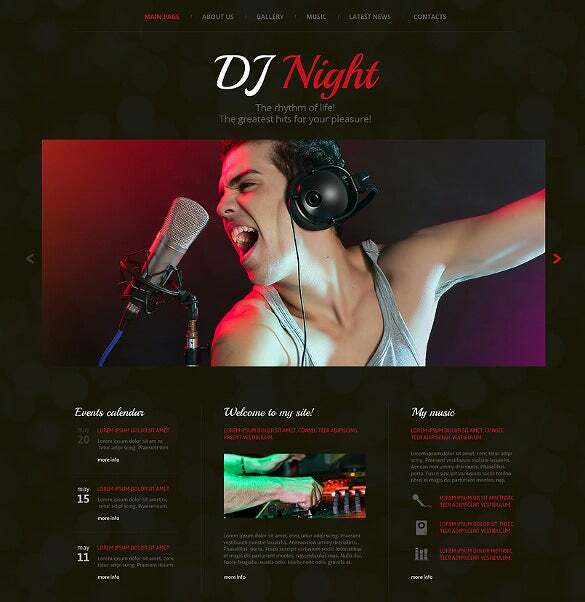 Design attractive DJ websites with this wordpress theme that promises easy navigation and attractive interface. 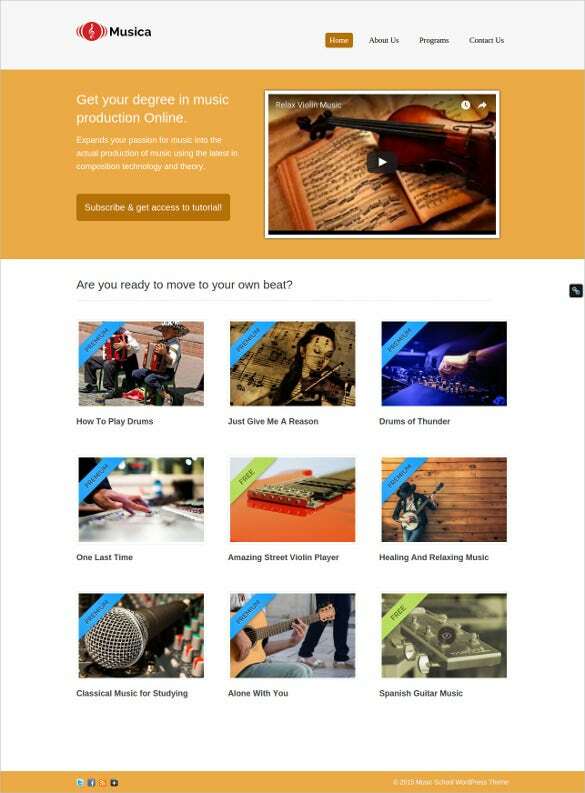 It is very useful for music consultants, DJ artists, song composers, and blog developers. It is perfect for music schools, studios, and production sets. It comes with animated slider, customized fonts, drop down menu, and numerous widgets. 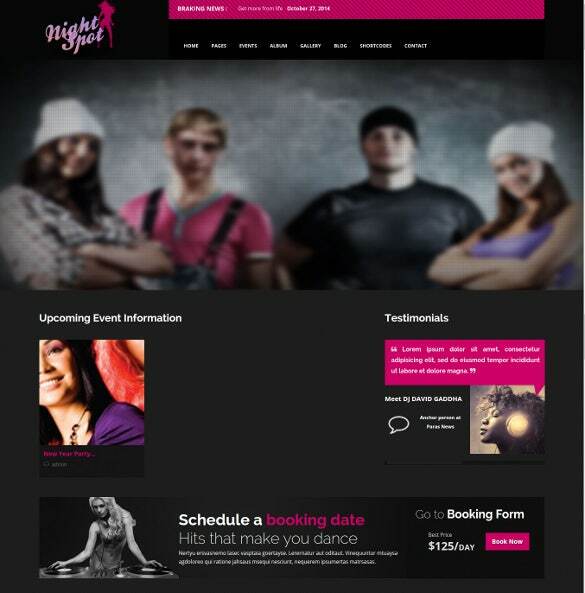 This template comes with trendy colors and attractive fonts to make for a great impact when infused into any website. 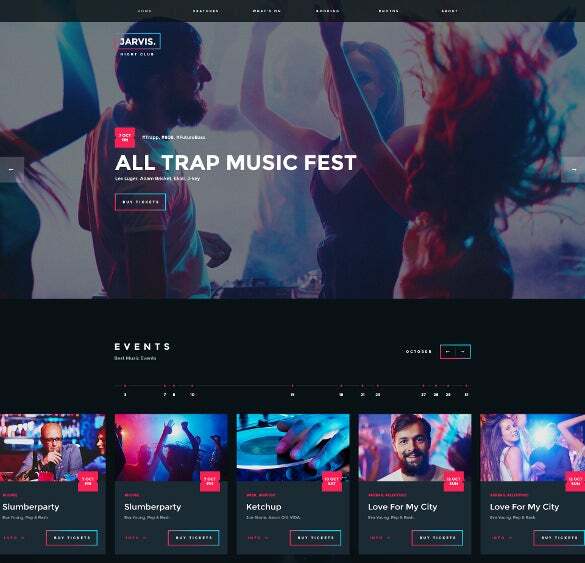 Professional musicians, DJ artists, rappers, and composers will find this template quite interesting. It is a perfect blend of stylization and utility features. It comes with sliced PSD, attractive animation, and retro-layout pattern. 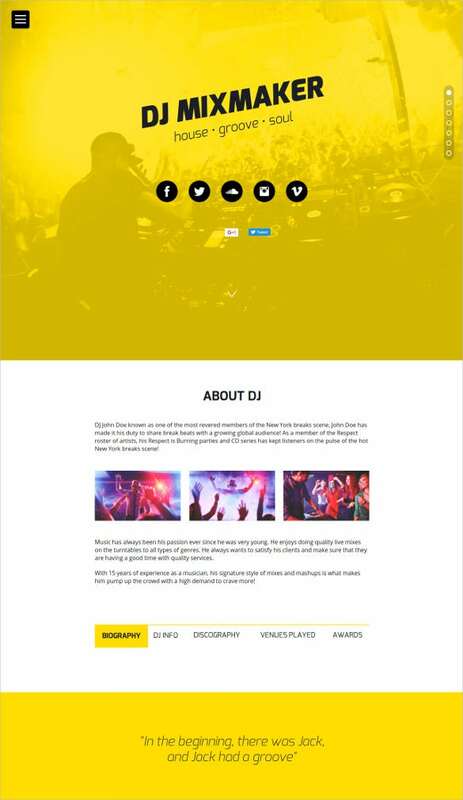 DJ WordPress Theme, based on 1600 pixels width, sports a gorgeous template for DJ websites. It comes with a powerful admin panel, and a detailed guide for installation and set up. 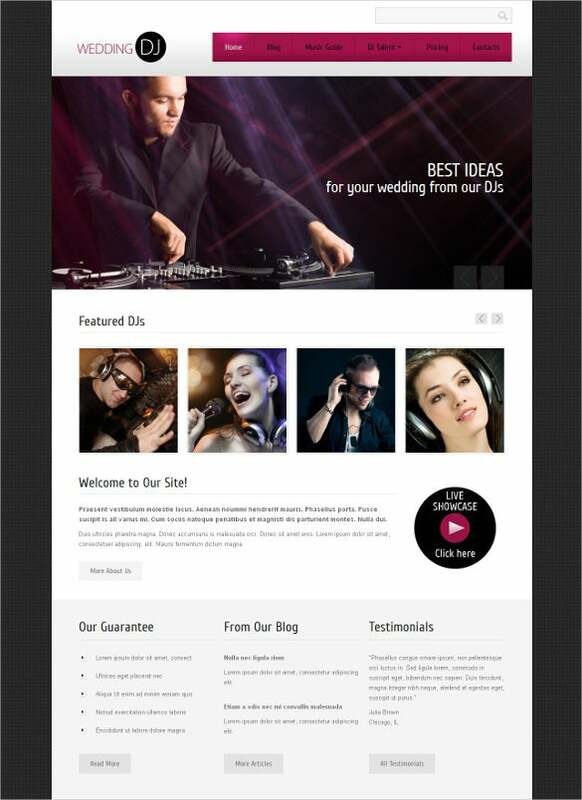 DJ Responsive WordPress Theme is a fully responsive and cross browser compatible website template for DJs. This template has a 2 column layout and comes with audio and video integration. 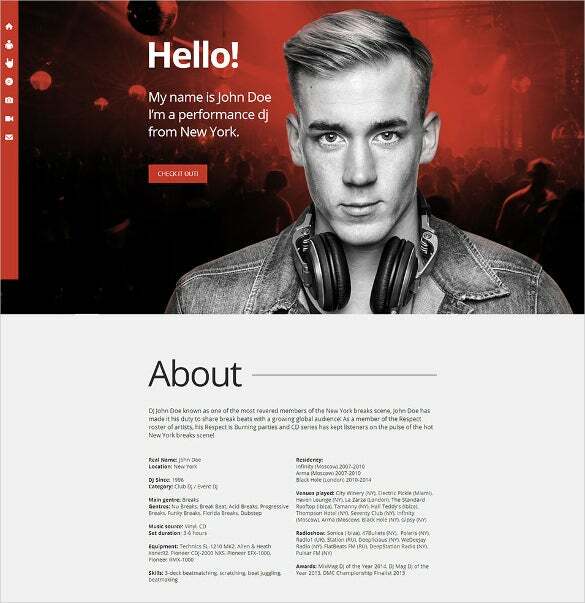 This Flash template can be used for designing music websites, blogs, and DJ portals. 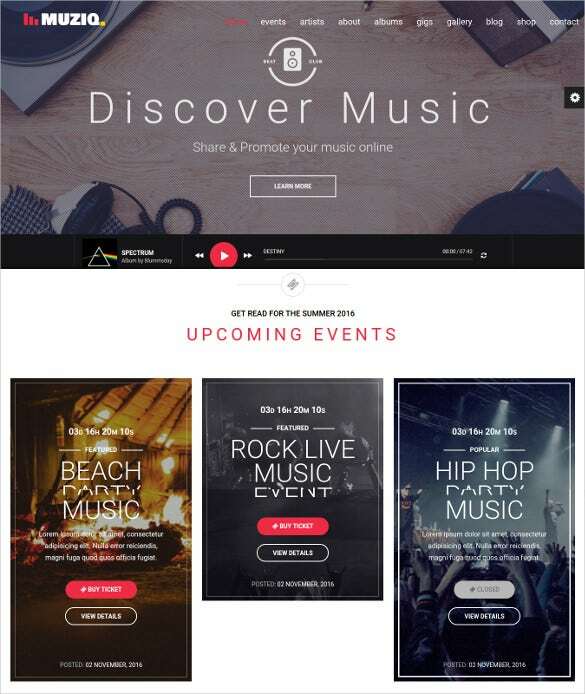 It is perfect for web developers, designers, artists, musicians, dj artists, music consultants, and bloggers. 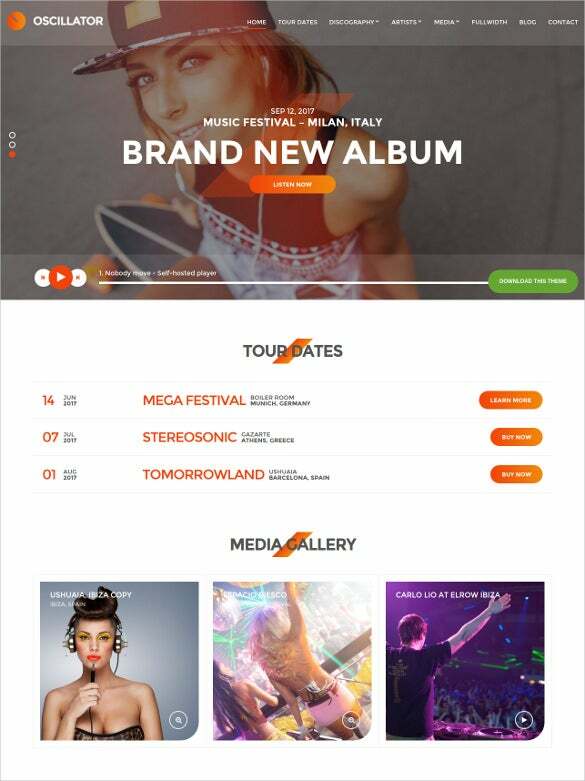 It comes loaded with customized layout, unique flash animation effects, animated slider, drop down menu, Google web fonts, and sample pages. 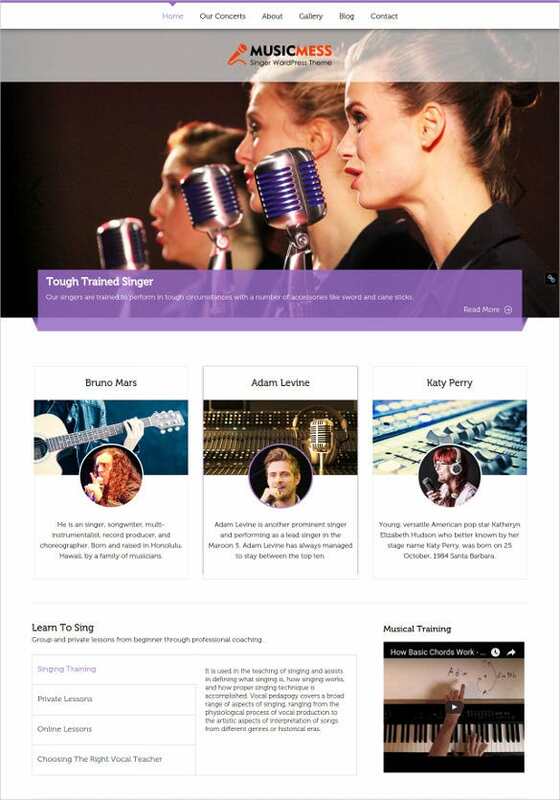 The wordpress theme, Vocal, is suitable for musical events and cinema based activities. 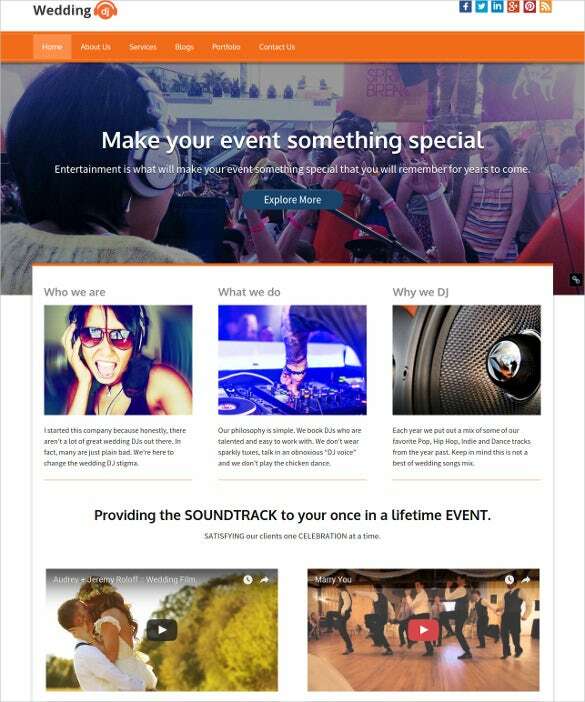 It has a niche effect and suits the requirement of musicians, dj artists, movie producers, directors, event planners, and consultants. 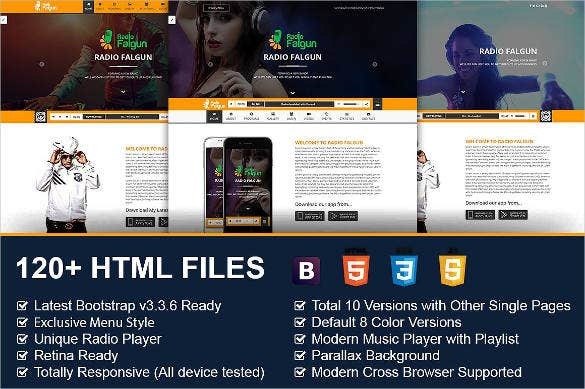 It features 6 different color presets, Vimeo and Youtube support, built-in support for audio player, and customizable visual composer. This WordPress template promises to be 100% cross browser friendly. It can be edited totally and is multilingual ready. 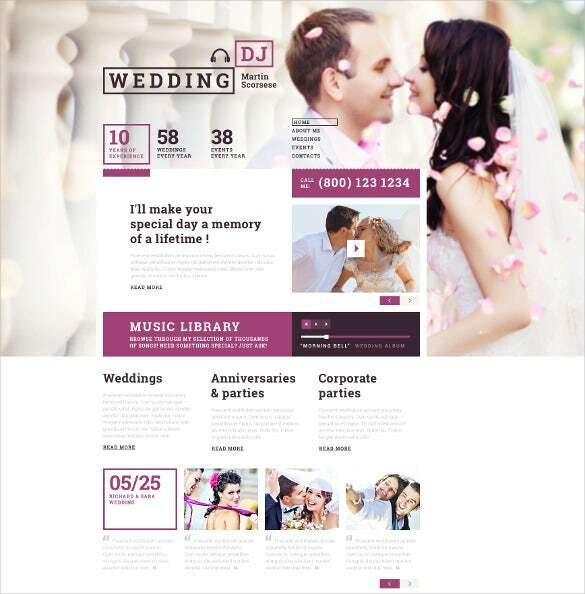 The presence of filterable portfolio, advanced backup system, custom widgets, built-in theme customizer, multiple color options, and fantastic sliders makes it very useful for designers, wedding planners, DJ artists, musicians, and event consultants. One has the ability to customize fonts, texts and even images while creating a website by making use of these free templates. 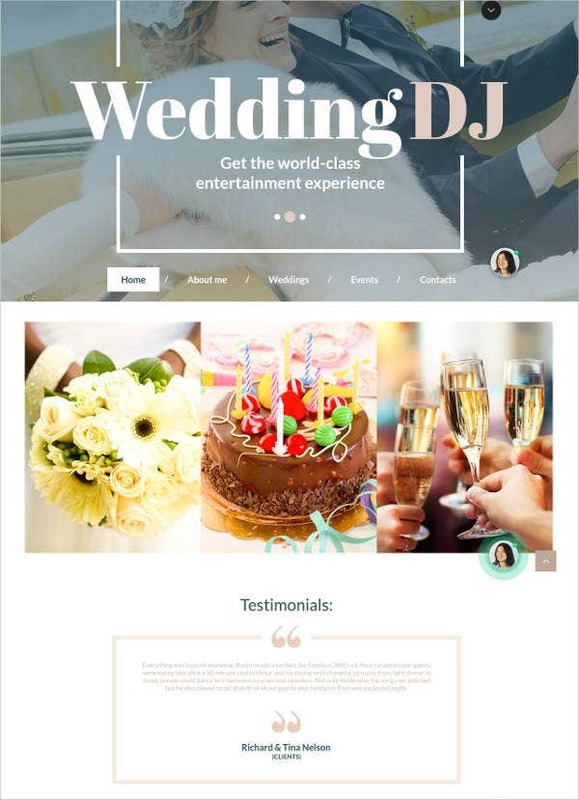 Moreover you also get the option to showcase your work as well as add images which will provide further information and details about the DJ to the customers. 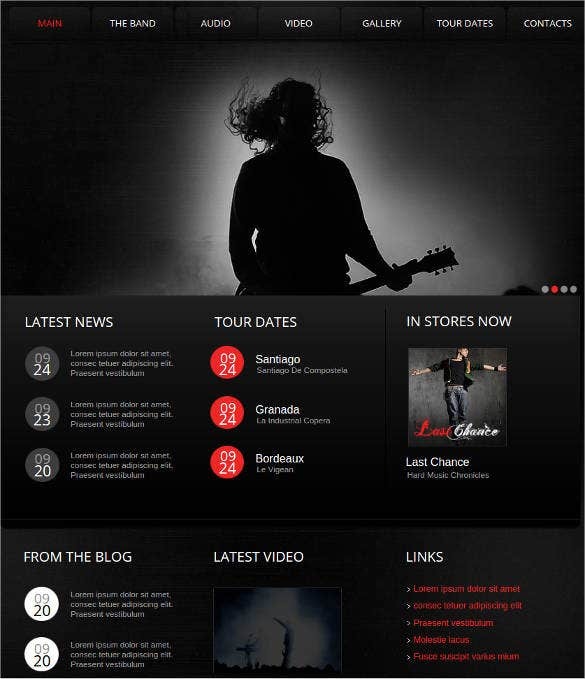 Get more and more fans with the help of these fabulous DJ website templates.